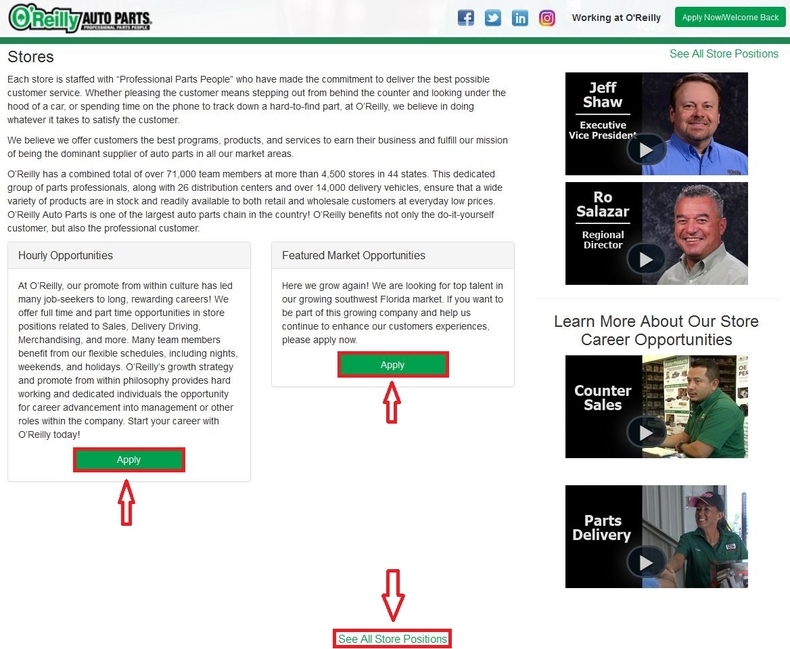 Go to oreillyauto.com/careers and land on to O'Reilly Auto Parts careers page to get more information about careers at O'Reilly Auto Parts. There are three career areas including stores, corporate and distribution, among which you can select one to proceed. Here we select STORES and click to find jobs. Start to search job opportunities for you by clicking the "Apply" button. You can click the corresponding button to search opportunities among Hourly Opportunities or Featured Market Opportunities. 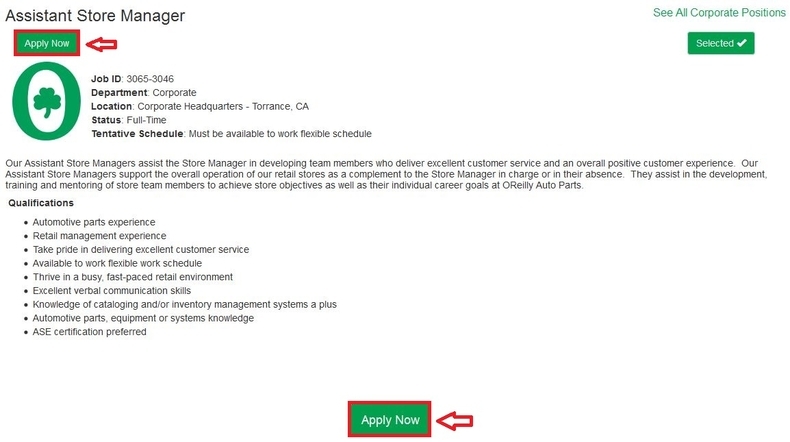 You can also click the link "See All Store Positions" to view all the job openings. 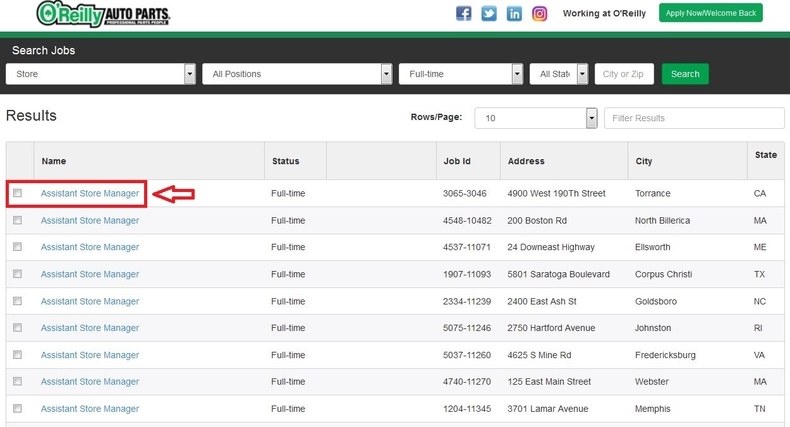 Browse the job openings list or filter the list by entering keywords and then select one for you. You can click the job title to view more information about each position. Here we choose the first position and click the title to move on. View the details of the position, especially the qualifications and then click the button "Apply Now" to start your application if you are qualified to apply for it. If you are not qualified to apply for a position, just go back to the list and choose another one for you. 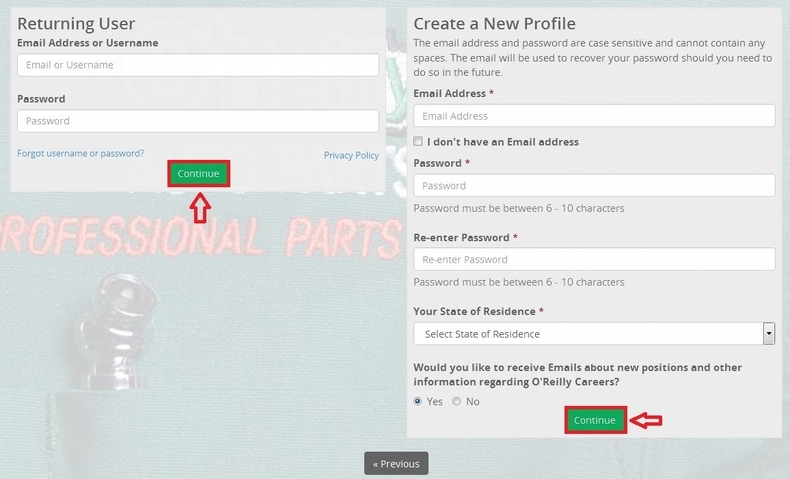 To continue your application process, you need to login or create a new profile. If you are a returning user, just enter your username and password to login. If you are a new user, you need to create a profile. 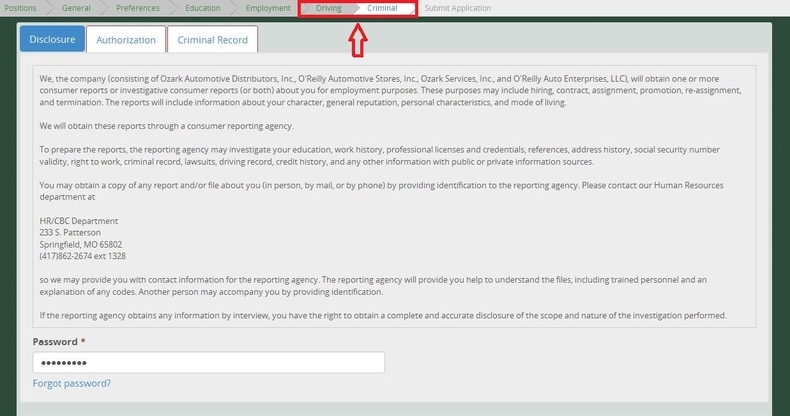 Fill out your personal information like name, contact information and then upload your resume. The fields marked with asterisk are required. 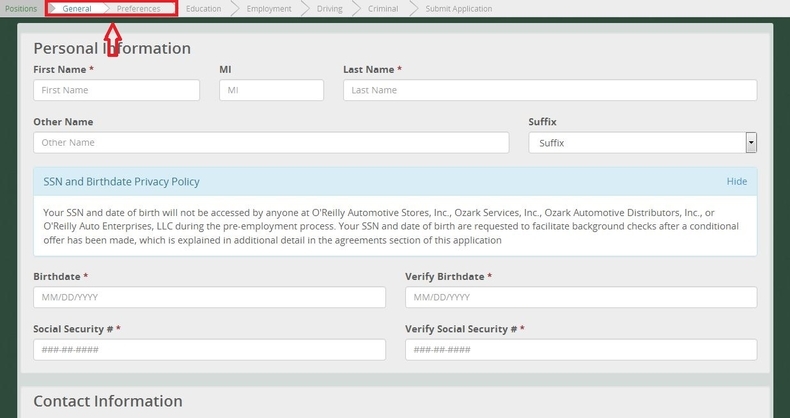 After you finish all the required fields, just click the "Next" button to continue. 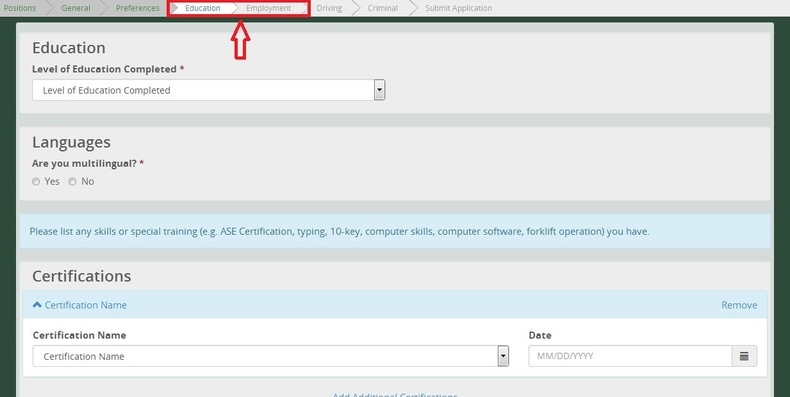 In this step, you need to provide information regarding your education, languages, certificates, skills, employment history and then click the button "Next" to move on to the next page. 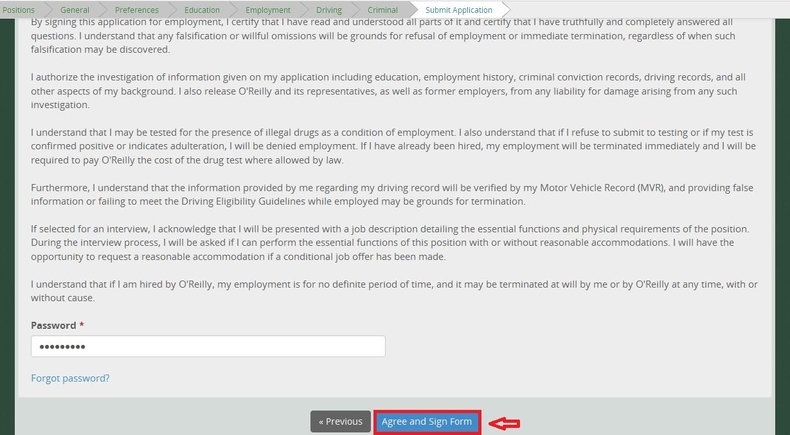 Follow instructions to finish the rest steps about your driving license information and criminal information. After you complete the required fields in each part, just click the "Next" button to move on to the next step. Once finished all the previous steps, please click "Agree and Sign Form" to submit your application. After submitting your application, you will be entered into a page where you can see a Thank You notification which indicates your application has been received. Later, a member of the recruiting team will contact you if your qualifications match the position you've applied for. 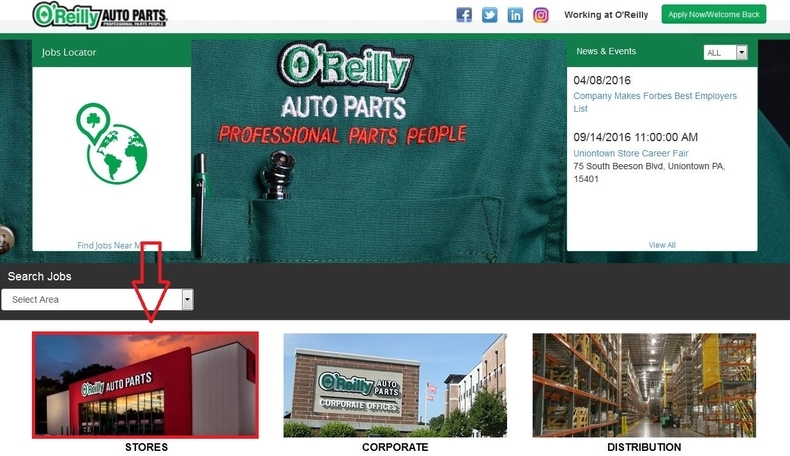 Click oreillyauto.com/careers to apply for O'Reilly Auto Parts jobs online.